Beautiful Honeywood reopens its doors to the public after a fabulous refurbishment. Honeywood Museum has reopened after a Heritage Lottery-funded refurbishment, restoring this stunning historic property and creating a spectacular local museum for families. Providing a unique insight into the history of the borough Honeywood, which closed its doors in December 2010, has been transformed into a period home as well as a museum, and rooms have been restored to show visitors how it would have looked when it was a family home. The oldest parts of the house date back to the mid-1600s. 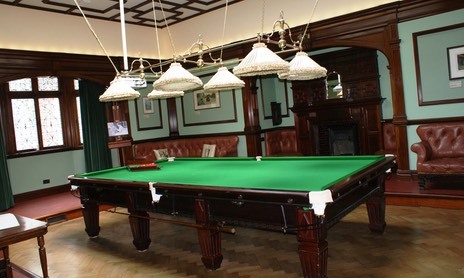 Honeywood now boasts an Edwardian-era billiard room, garden room, bathroom and kitchen, which will let visitors step into the past and see for themselves how the home’s residents would have lived. A programme of changing interactive exhibitions will let people discover a wider range of the museum’s artefacts, and learn about life in Sutton in the past. Cllr Jill Whitehead, Chair of the Environment and Neighbourhoods Committee on Sutton Council, said: “Honeywood Museum is a real treasure, and I’m delighted to that it’s now reopened to the public. We’ve kept the popular displays and opened exciting new exhibitions that will really bring Sutton’s past to life, plus we’ve restored some rooms to show what the building would have looked like as an Edwardian family home. The interior of the museum has been taken back in time with a redesign to restore the original layout, including unblocking a staircase which still has its Victorian wallpaper. As well as the redeveloped rooms, there will be a new tea room and shop. A series of family events starts on Friday 8 June, where young visitors can visit the new exhibitions, make crafts, try out the new toys, and dress up. Events for all ages will carry on throughout the summer, including craft fairs, history walks and an afternoon of Olympic-themed events to celebrate the torch passing through the borough. The restoration was jointly funded by the Heritage Lottery Fund, which contributed £635,000, Sutton Council which provided £260,000 including £120,000 to refurbish the outside of the building and Sutton Arts Council, which contributed £15,000. For more information on the restored Honeywood museum and the events planned, visit www.friendsofhoneywood.co.uk. It is open from 11am - 5pm Wednesday, Thursday and Friday and 10am - 5pm Saturday, Sunday and bank holidays. Admission is free, although some special events need booking or carry a small charge.